On many of our fishing trips we will catch fish that you can take home or to a local restaurant for dinner. In my opinion it only adds to the fishing experience to bring home your catch and enjoy the fish that you caught on that day. On the other hand, I also have NO problem with practicing catch and release. If we do catch edible fish I offer fish cleaning and bagging at no charge at the end of the trip. You need to remember that for most of our edible fish there are both state and federal regulations that we must follow that outline size and bag limits on what we can take on any given day. Moreover, as a responsible charter boat captain also may impose additional bag limits for some of the fish that we are keeping depending on the time of the year and how I feel that fishery is holding up. For example: during the spring and summer I will only keep up to 1 cobia per boat and I do release all egg bearing females. The reason for this is that these fish are here to spawn during that time of the year. Though I have no problem bringing fish back for dinner; I am not out here to “meat fish”. 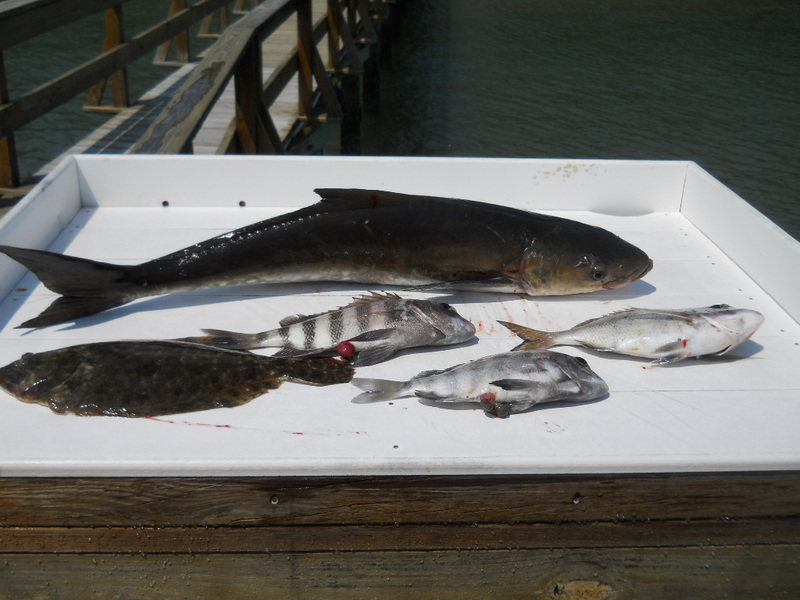 I primarily run a sport fishing operation so if your main goal is to go out and “fill up the cooler” or “catch limits” I might not be the best choice of charter boat to consider.